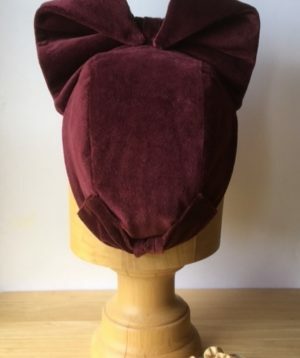 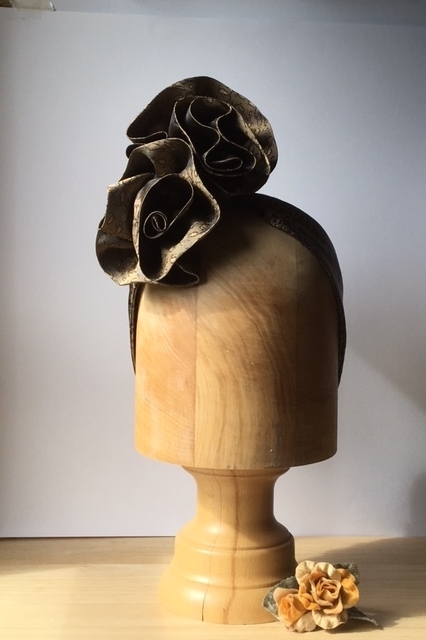 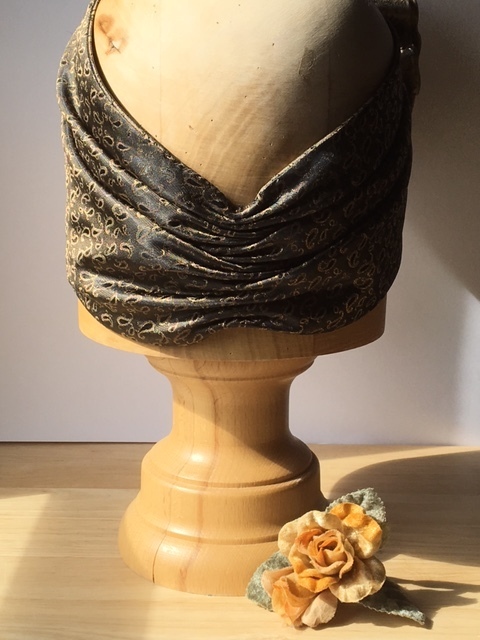 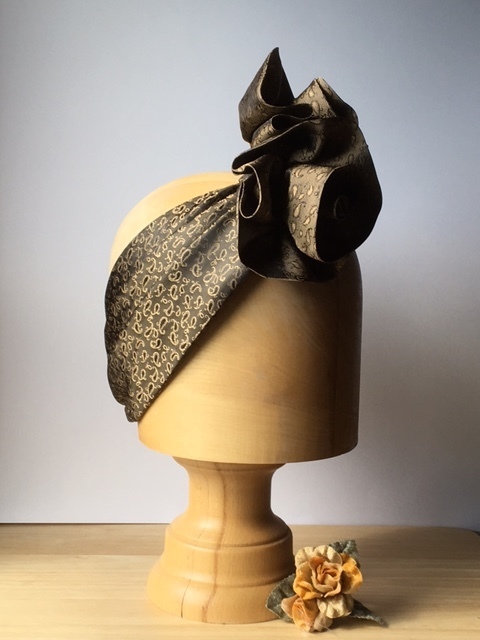 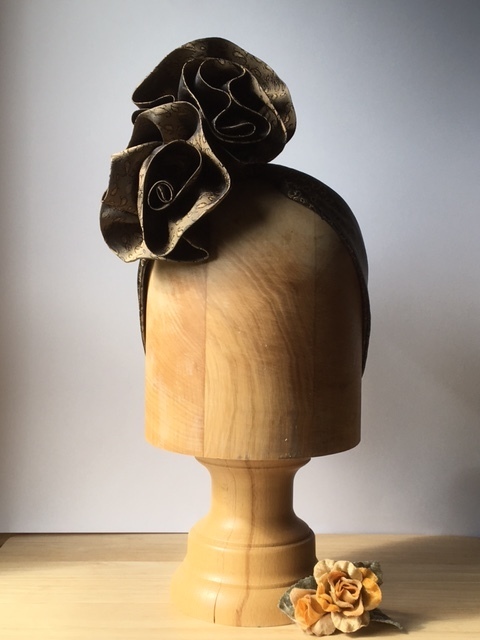 Lovely band turban style hat in a rich brown/bronze patterned rayon/satin fabric. 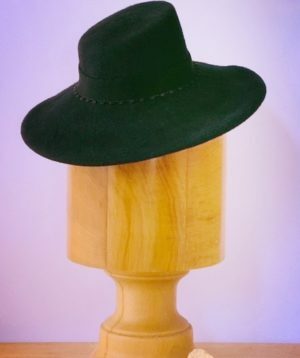 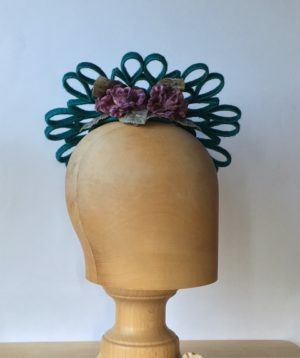 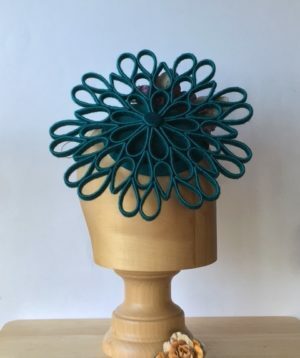 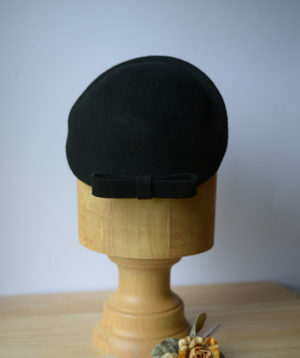 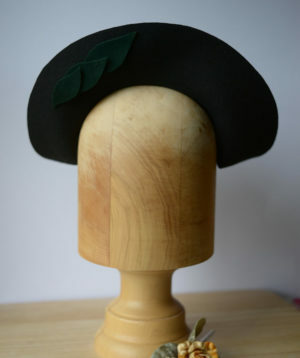 This hat has been gathered at the back and sits where ever you like on the head and is designed to be fixed to the head with grips. 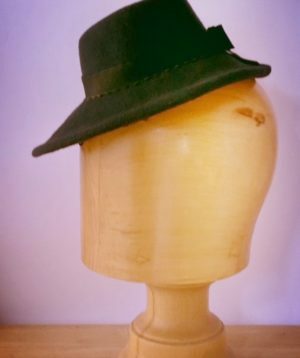 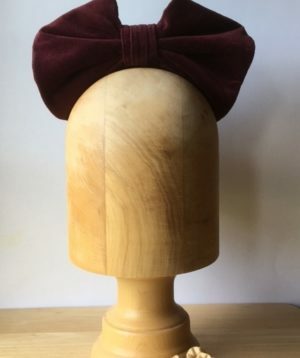 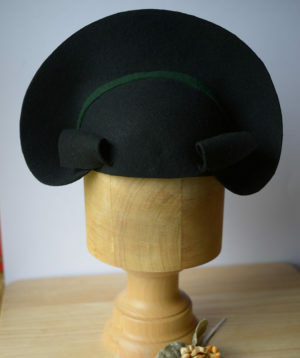 This hat has been made using the original copy pattern of 1940’s Butterick pattern 1786. 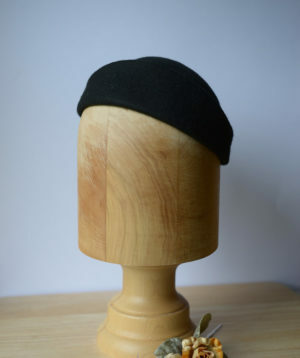 Great if you have shorter hair.